The latest is not always the greatest. Its actually quite rare that a digital camera comes along that is a significant change and improvement to whats on offer. The Nikon D3, with its incredible high ISO performance compared to what existed already, was probably one and the Sony NEX-7, with its incredible pixel count and functionality in such a small body could be regarded as another. However the forum "buzz" often would have us think that cameras offering a small yet important improvement are the second coming or something that moves things on so far as to make everything that came before redundant. All of this is put into perspective when you actually look at images that these new "wonder cameras" produce. Its often a case of "spot the difference". There are, for example, lots of words on how great the Fuji X Pro 1 is. Why? None of the samples that have yet emerged show that there is a great improvement in image quality over what is around at the moment. In fact its almost the reverse. I was looking at some new examples the other day and yet again they looked flat, soft and dull to me. Useful high ISO performance but nothing remarkable. 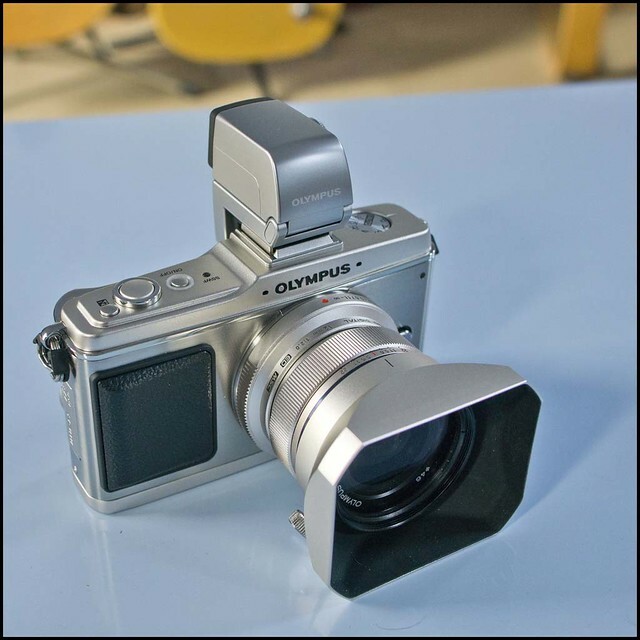 The Olympus OM-D has some very useful additions and is a potentially excellent camera, but add a viewfinder to an E-P3 and upsize your files slightly and you have pretty similar results. I certainly can't claim to have been immune to all of this and with some of the stuff I've written in the past I have certainly been guilty of occasionally somewhat exaggerating the differences that new gear possesses. I do try to be balanced, but there are cases where my enthusiasm has sometimes got the better of an objective assessment. It is, of course, in everybodys interest to whip up enthusiasm for the "next big thing" as there is more activity, more comment and more publicity. Manufacturers like it, review sites like it and yes, even small time bloggers like it. But ultimately its a sideshow, a distraction to what we should all be doing with our time, and thats taking pictures. The gear merry go round is almost unstoppable now, and even respected and top class photographers get drawn into spending their time writing about the machinery rather than the product. It would be interesting if Ferrari fans started writing long enthusiastic pieces about how the new smelting plant was revolutionary and going to change the face of car production for ever. Because thats what we all do. To a large extent we spend all our time writing about the "factory" and how its going to change things so much, rather than what actually comes out of it. Fashion designers don't tend to spend a lot of time talking about their sewing machines and there is this somewhat radical thought that occurs to me, "Cameras don't create photographs, photographers do." So it is my intention to continue the trend in this blog towards the making and taking of photographs rather than the differences between cameras and lenses. That is not to say that I won't be writing about gear anymore, I will. But its my belief that the differences between cameras and lenses are less than is often stated and ultimately not a lot to do with what photography is about. Many times it seems that the camera is everything, whereas its those rectangles and whats inside them that should be exciting us.